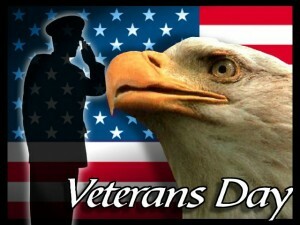 Veteran’s Day as a US federal and State public holiday honoring service men and women who served in defense of the nation. November the 11th every year is designated Veteran’s Day and involves religious services, veterans marches, and family get togethers. 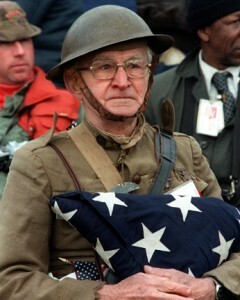 The history of Veteran’s Day begins with Armistace Day. The 11th of November is a day of remembrance outside of the US such as Canada, the United Kingdom, Australia, New Zealand, and France amongst others, but the US is the only nation to name it Veteran’s Day. Unlike other nations who honor their dead, in the US all service men and women who served their nation are honored. Armistace Day was created by President Wilson after the end of World War I, in those days known only as the Great War, and originally the day wasn’t a holiday but just a solemn moment of 2 minutes silence to remember the fallen from WWI. In 1921 Congress authorizes the construction of the Tomb of Unknown Soldier at Arlington National Cemetery just across the Potomac River in Virginia. In the same year the US Veterans Bureau was formed as a Federal department under Colonel Charles Forbes, it’s first director. Sadly Forbes was arrested and relieved of duty after only two years on the job and charged with conspiracy to defraud the Federal government. He was replaced by Brigadier General Frank Hines who was instrumental in reorganizing the Bureau to better serve the needs of veterans and historically has been seen as the man who most brought Armistace Day to the forefront of the national consciousness. By the 1950s, the US had been involved in two further wars, World War II, and the Korean War, both of which produced a great many heroes and veterans and who were not being honored or remembered on Armistace Day, so the Veterans Service Organizations (VSO) responsible for them requested a change of name to Veteran’s Day. In 1954 Congress duly passed the amendment, and president Eisenhower appointed Harvey Higley the Chairman of the Veteran’s Day National Committee. If Veteran’s Day falls on a Saturday or Sunday, the Friday or Monday, whichever is closest to the 11th is also designated a public holiday.